The words “twin-stick shooter” have become far too common a descriptor for games these days and it feels, at times, like the gamut of possibilities for what types of things you can shoot using two joysticks on a controller has now reached its exhaustive conclusion. Then you play a game like Assault Android Cactus and remember why these games are fun, where they came from, and why the best shooters are about more than just shooting. 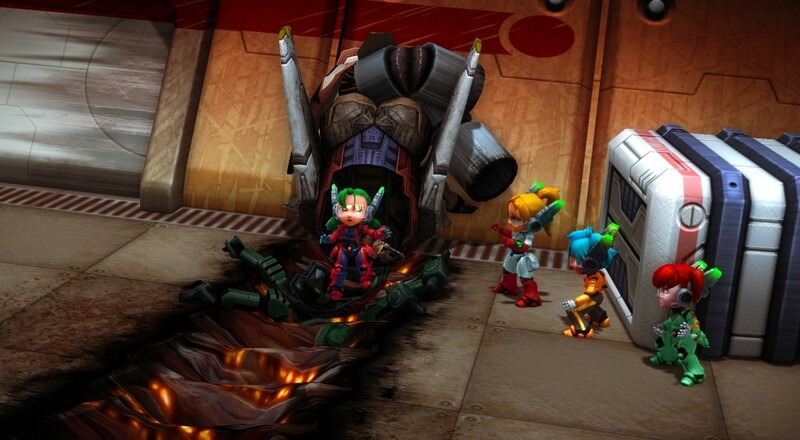 The underlying mechanics to Assault Android Cactus blend together ideas from classic shooters, like Smash TV and Ikari Warriors, with the controls and gameplay of more modern ones. Each of the 20 regular levels - there are five boss levels that are different - will pit you against a set number of foes that you must defeat while the entire stage shifts around you. Sections will drop away to be replaced with something else, or new bits of cover will appear while others disappear. It’s a neat trick that makes every level feel different. It’s not just swapping tiles/backgrounds and substituting a few enemies here and there, every level plays differently and that leads to some interesting tactics that can emerge depending on which android you select. Amidst all of that chaos, enemies also drop orbs that charge up your primary weapon so it does more damage and/or has a greater area of effect, and power-ups that either briefly freeze all enemies, boost your speed, or give you some helper bots that fire alongside you. Both are key to actually clearing a stage as you’re fighting more than just robotic foes. Each level must be cleared within a certain “time limit.” I use the quotes in this case as there is no ticking clock on the screen slowly beating away to your doom, but rather a green battery indicator that drains at a set rate. Should that battery become fully depleted, you lose. Fortunately, battery charges will drop from certain enemies (or in-between the different phases of a boss fight) to keep you going. This battery is completely separate from your android’s life bar. Should you get hit so many times and your life gets depleted, you will hop right back into the action after a couple seconds. Once all the foes of a stage has been cleared, you’ll get a score, some credits that can be used to buy in-game artwork and special modes, and the option of moving on to the next level. All of this happens within, at most, the span of about four minutes and it’s all perfectly paced. The level lasts just long enough that you’ll occasionally have those little moments of triumph where you just made it, and doesn’t outstay its welcome. 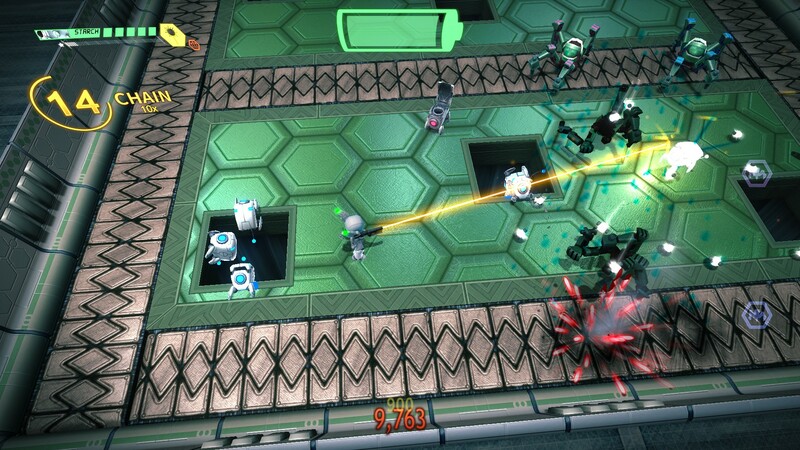 Assault Android Cactus is definitely fun to play, the most striking aspect of the game, to me, is its charm. Each of the nine playable characters - four initially and then five more that you unlock by playing through the campaign - are voiced and you’re able to get a good sense of their personalities within just a few lines of dialogue. At times, these characters may fall into a few clear anime/cartoon stereotypes, i.e., there’s the “crazy” android, the tough/no-nonsense one, the nervous one, but it’s never to the degree of being too over the top or strained. I smirked and chuckled at a few lines here and there, and was pleasantly surprised to see that each boss reacts differently to each android; it was enough to make me replay those encounters with a different character just to see the conversation. Page created in 0.3979 seconds.